Imagine a world where CAP is independent. 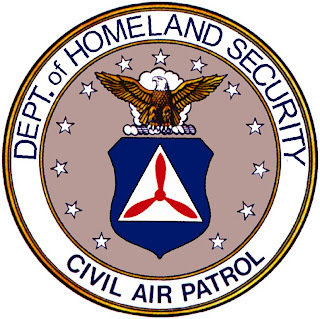 Imagine a time when Civil Air Patrol is no longer under the Air Force, but is a separate and equal agency in the Department of Homeland Security (DHS). Imagine being the Seventh Uniformed Service. This new bill presented to the House may be the first step in this new direction. Is that a good thing? It's too early to tell. But what would it mean? Let us not forget that CAP was it's own agency during most of Coastal Patrol, not falling under the Army Air Corps until mid-1943. For the first two years of our life, we were our own agency under the Department of Civil Defense. For our Emergency Services mission, it means benefits. New missions; along the borders looking out for illegal immigrants and possible terrorists. No longer would we have to worry about the Posse Comitatus Act impeding our efforts. Imagine the resumption of Coastal Patrol, flying out to intercept suspicious vessels and identify them, cutting down on the workload for the Coast Guard, and saving time, money and boosting security for our ports. Imagine money to purchase FLIR and other hi-tech systems, the money and instructors to train us, and enough left over to maintain proficiency. But what of our Cadet Program and Aerospace Education? I don't see why we couldn't maintain both as the status quo. With regard to Cadets, even if this transfer to DHS takes place, what would hold us back? Surely there would be a limit on Cadet participation in actual missions. Do keep in mind that the Cadet Program was alive and kicking during our Coastal Patrol days, and even before we became the Army Air Corps Auxiliary. We would have to re-structure it, yes. The lack of Air Force support would mean new uniforms, and simply becoming an 'Aviation Cadet' program with a military flavor. It should be noted that even though we would be a separate entity, we could still work closely with the Air Force. For one, our Cadet Programs could be operated as a joint program with USAF and CAP. Secondly, like the Coast Guard, CAP could still be used by the Air Force for it's non-combatant missions, and could even be absorbed into the regular Air Forces if the DoD deemed it necessary. The point is this: a transfer to DHS would not be a scary thing. It could be great, but also has the potential to be bad. Such a move would create the need for a massive re-organization within CAP. It would also mean re-evaluating pretty much our entire ES program, and by default, CAPR 60-3. However, having new missions, and the money to properly equip us would be well worth it. Imagine saying to someone who wants to join "I spent two weeks along the border last month" or "I fly out and recon ships for the coast guard every other weekend". Recruiting and Retention would become easier. And most of all, if we do our job well enough, we will finally earn the respect among the Military we rightfully deserve. "is a Technical Flight Officer in the Civil Air Patrol, with ratings as a MO, training in GTM-3, and function as the Deputy Commander for Cadets at my Squadron". We are both the same rank, same ES certs and same duty position! that's.....kinda.....huh? What are the odds. And you know, from the posts on your site, I though you were older than me. Since Air Force funding is currently used to purchase our fleet of aircraft and vehicles, do you forsee the funding "following" us under this concept? Or would DHS have to dip into funds they currently use for something else to support CAP? I think that if we were to do this, then whatever funds allocated for us through the Air Force would instead be allocated to DHS for us. If I remember correctly, the President authorized a budget increase for CAP.